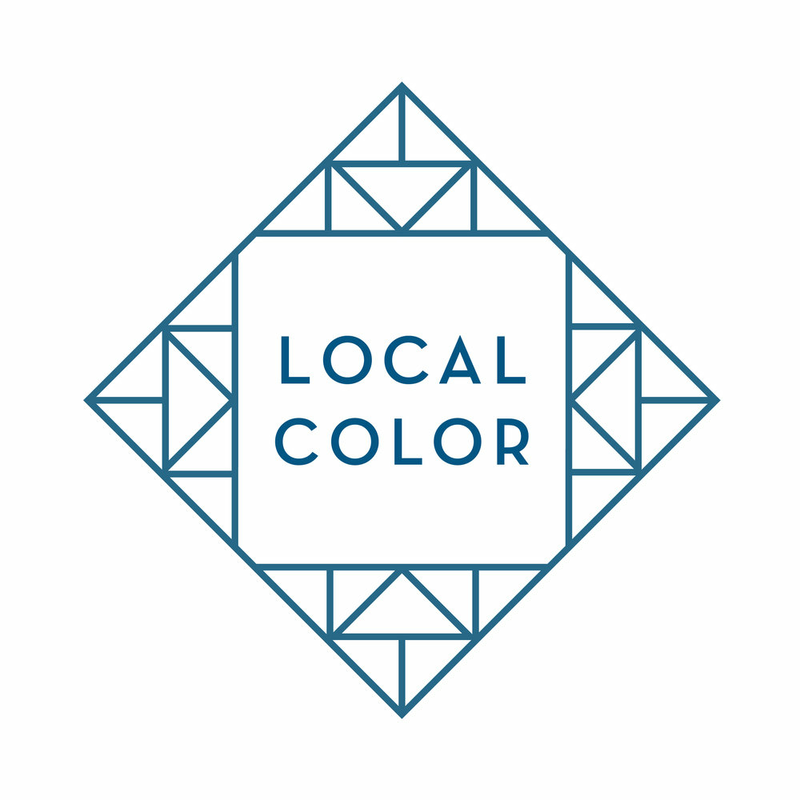 We’re thrilled to offer an exciting collaboration between Local Color, a Buffalo-based quilt studio, and local artist Dana Saylor. The Buffalo Landmark and West Side quilts are available now in limited quantities. Each quilt features watercolor and pen-and-ink illustrations of iconic Buffalo scenes. The Buffalo Landmark quilt includes illustrations of City Hall, Electric Tower, Buffalo River grain elevators, Kleinhans Music Hall, the Japanese Gardens at the Buffalo History Museum, Lake Erie Lighthouse, Botanical Gardens, Darwin D. Martin house, the Frank Lloyd Wright boathouse, and more. The West Side quilt features illustrations of private residences from around Allentown and the West Side that capture the unique architectural features of these neighborhoods. Also featured are several neighborhood institutions including Kleinhans Music Hall, Caffe Aroma, Nietzche’s bar, the Essex St. Pub, and the Frank Lloyd Wright boathouse. 36” x 42” size makes for an ideal lap or baby-sized quilt, or a wall hanging. Two colorways available for Holiday 2018 limited run: Birch (white and cream) and Sage (grey green). Other colorways available for special order and delivery beginning in January 2019. Cotton top and back, and 100% cotton batting. Backing fabric is neutral (white, cream, or light grey) and will vary from quilt to quilt. Machine quilt and bound for durability. Machine washable on delicate cycle; tumble dry on low. All quilts include a “Local Color” tag on back, identifying it as a local and handmade product. We are offering a limited run of quilts in time for the holidays. Special order quilts will be available for delivery in 2019. Local pickup is available after December 17, 2018. Items will ship via Priority Mail by December 17, 2018.